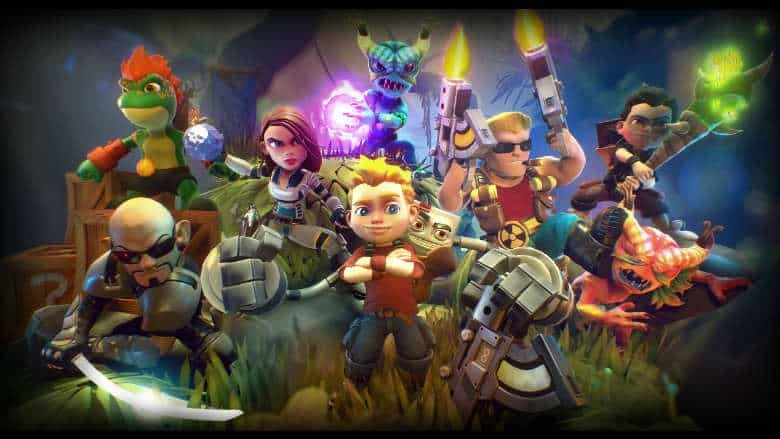 Rad Rodgers Radical Edition Brings the Platformer to Switch this Month | Nerd Much? If you’re into nostalgic action platformers, you’re likely aware of Rad Rodgers. Slipgate Studio’s developed the game with 3D Realms and HandyGames releasing it to Xbox One, PlayStation 4 and PC owners last year. But where’s the Switch version you ask? It’s now officially coming in just a few weeks, repackaged as the Rad Rodgers Radical Edition. The Rad Rodgers Radical Edition is quite the upgrade from the original version of the game. Slipgate has added a handful of “90s gaming icons” from other franchises that you may recognize. There’s Duke Nukem, with Jon St. John returning as the character’s voice. And also Low Wang from Shadow Warrior and Cosmo from Cosmo’s Cosmic Adventure. Also added is Shelly “Bombshell” Harrison from Slipgate’s Bombshell upcoming Ion Maiden games. Also included in the Rad Rodgers Radical Edition are a few new modes for the game. Slipgate has now added a co-operative mode so that players can enjoy two player couch co-op. Or you can go up against one another in the new versus mode that the studio has crafted. Slipgate didn’t stop there, as they’ve developed “new levels, abilities, mini-games, a new overworld and tons of new secrets, collectables and unlockables.” All of which comes stock on the Switch and completely free for those who already own the base game on other consoles or PC. Rad Rodgers Radical Edition drops on Nintendo Switch February 26th. The free update will land for PlayStation 4, Xbox One and PC the same day.